Axl Rose and AC/DC closed out the European leg of the Rock Or Bust world tour with a performance at the Esprit Arena in Düsseldorf, Germany on Wednesday. The final show of the 13-date spring run delivered a 24-song set that included the Bon Scott-era rarity “Touch Too Much” from 1979’s ”Highway To Hell”, marking only its fourth live appearance ever following its 1979 debut in Nice, France and three 2016 performances including May 22 in Prague, Czech Republic and a June 12 performance in Aarhus, Denmark. Rose will now follow the AC/DC shows by regrouping with Guns N’ Roses for a summer stadium tour of North America that kicks off June 23 at Ford Field in Detroit, MI. 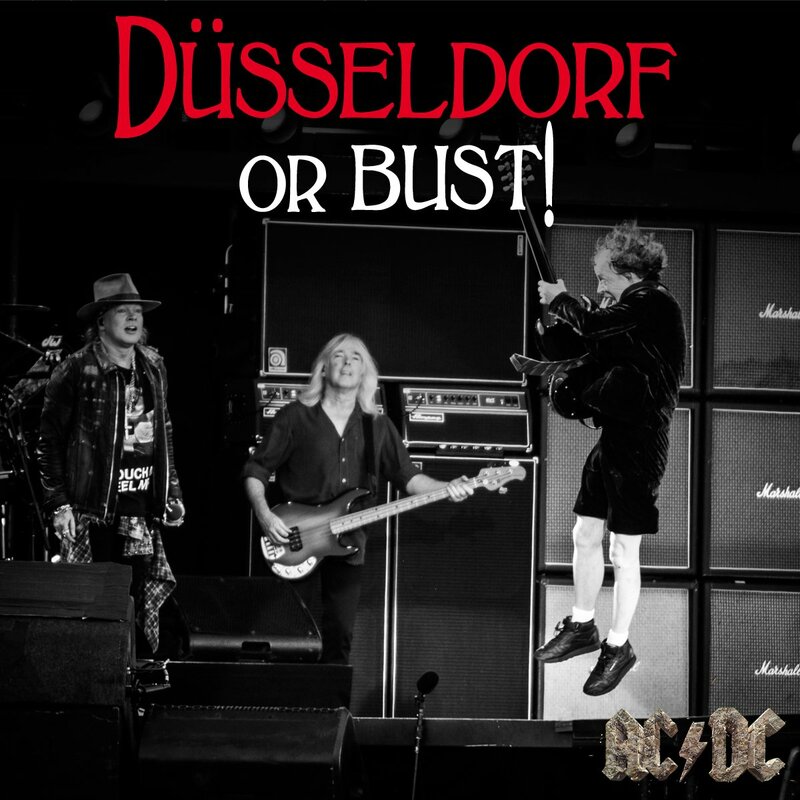 When the summer run ends, the singer will have a 4-day break before reconnecting with AC/DC for ten US dates that were rescheduled from spring, with shows starting in Greensboro, NC on August 27.
hennemusic hooked AC/DC fans up with live streams of each of the European "Rock Or Bust" shows this spring.